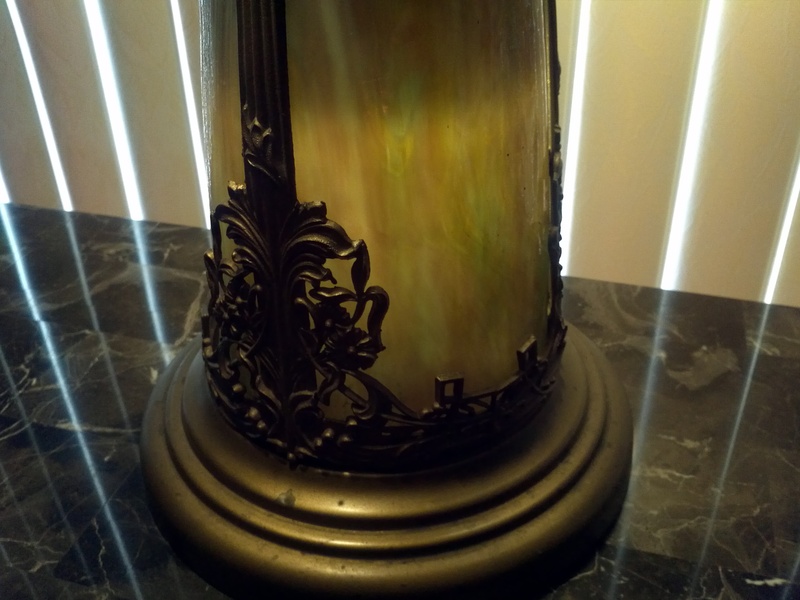 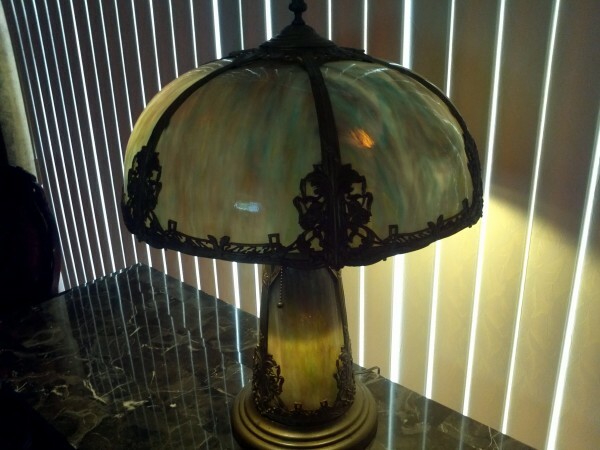 Vintage Victorian slag glass lamp in working condition. 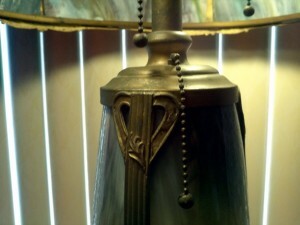 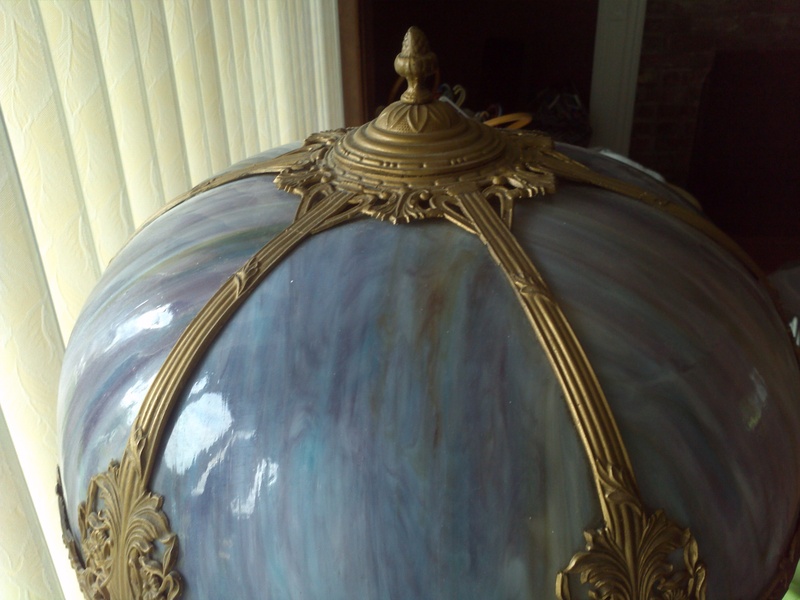 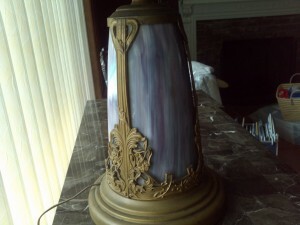 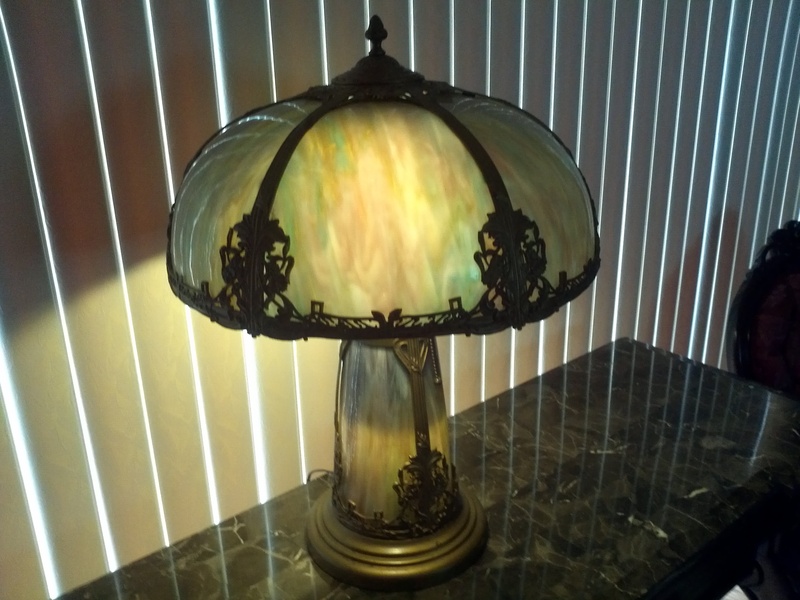 Lamp not marked but glass and metal in very good condition. Perfect accent piece for any room in the house……..